The Indiana Long Term Care Insurance Partnership Program (ILTCIP) is a special program. It combines private long term care insurance with special access to Medicaid. The Indiana Partnership lets Indianans shield a part or all their assets and still qualify for Medicaid. This feature works if your long term care needs extend beyond what is payable by your long term care insurance. Private long term care insurance policies sold under the Indiana Long Term Care Partnership Program are termed “Partnership Policies”. Indiana Partnership long term care insurance companies must offer specific benefits. This Indiana Long Term Care Insurance Partnership rule can help take the guesswork out of designing your LTCi protection. Section 6021 of the 2005 Deficit Reduction Act allows for Qualified State Long Term Care Insurance Partnerships. The United States Department of Health and Human Services reports that about 70 percent of people over age 65 will require some form of long-term care services during their lifetime. And it’s not just seniors needing long term care services, as 40 percent of people receiving long term care services today, are between the ages 18 and 64. The table below lists Indiana long term care costs from the Genworth 2018 Cost of Care Survey. This study covers national long term care costs and includes over 15,000 long term care providers in 440 regions. It’s important for Hoosiers to know local and regional long term care costs. Because these costs are a primary factor when deciding how much long term care protection to buy. The John Hancock Insurance Company Cost of Care Study for Indiana includes a Cost of Care Calculator. This calculator estimates future long term care costs by adjusting for inflation. According to U.S. Dept. of Health and Human Services, about 70 percent of people over age 65 will need some type of long-term care services during their lifetime. Yet, the need for long term care does not only impact seniors. Consider that 40 percent of people currently receiving long term care services are ages 18 to 64. Indiana Long Term Care Partnership Program insurance costs about the same as other LTCi policies. This assumes the insurance policy’s contain similar benefits. But the required benefits of an Indiana Partnership policy can limit benefit options. Thus, it is also wise to consider non-State Partnership Program policies. In some cases a wider range of choices may be available and better for a particular situation. 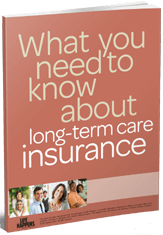 An agent specializing in long term care insurance can illustrate these differences. The State of Indiana is a member of the National Reciprocity Compact. This grants Medicaid asset protection with other states Partnership Programs. An example is buying an LTCi Partnership Program policy under another state’s Long Term Care Partnership program. Reciprocity provides you will not lose your asset protection if you move to Indiana. If you’re already receiving Partnership Program insurance benefits before moving to Indiana, the State of Indiana will recognize asset protection for Medicaid qualification. Here is reciprocity information between the Indiana Long Term Care Partnership and Partnership Programs in other states. Long Term Care Insurance Indiana Partnership policies are available from several insurance companies. Insurance agents offering LTCi Partnership Program policies must have special training required by the State of Indiana. Here is a list of insurance companies selling long term care insurance in Indiana. Request Indiana Long Term Care Insurance Quotes! Price comparisons customized for your specific needs from respected insurance companies like Genworth Financial, John Hancock, Transamerica, Mutual of Omaha and others. We also provide detailed comparisons to the AARP LTC insurance offering. Financial stability reviews of each long term care insurance company’s financial ratings, asset base and claims paying experience.